VioVet is moving – What you need to know! 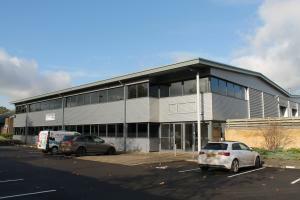 After nearly 2 and a half years in Markyate, we have decided to move premises to Bilton Way in Luton. Our new home will be three times larger than our current warehouse and specifically designed to our needs. We will still be placing a huge emphasis on customer service and satisfaction, as always, so the move will ensure we can maintain our top rated standards for a much larger customer base whilst being able to cope with ever increasing numbers of orders. What will change for the customers? All new prescriptions to be sent to us from the 5th December will have to be sent to our new address. The process for sending faxed and e-mail prescriptions will remain the same. All store pickups will occur at our new premises from the 9th December. The 4th December is the last date that we can offer customer collections at our old building. How will deliveries be affected while the move is taking place? If you think you will need an urgent delivery that weekend, please plan ahead and order now. Feel free to leave a comment below if you have any questions, and we look forward to answering them. Good luck with your move. You will be all right for your staff Christmas party!! On the next corner along the road is the wine place that we buy from, Romanet. A rep comes to us in Jersey to persuade us to buy their nice wines. All the very best on your new adventure & keep up with the exceptional service. Viovet Customer Since : June 2009. This is good news. Good luck in your new premises. I'm so pleased with your range of stock, prices and service. Pleased to know I can rely on you. Good luck with your new premises. I'm so pleased with your service, good to know I can rely on you. Good luck with your move. I am pleased to be able to order my cat prescription food from you (Z/D) and at a more reasonable price than the vets charge!!!! I have been ordering from you for about two years now and will continue to do so. The speed of your delivery service is exceptional as well I have never had anything I have ordered in my life arrive as quick as from Viovet!! I wish you all the best in your new premises. Great service! Bubbles, lord Cecil, poppy & penny have never had to pop to the local pet store because their food has'nt arrived on time. DPD are a fantastic delivery company. They go out of their way to make sure you get your goods...... Have fun unpacking! Good luck with the move and thanks for a brilliant service. Merry Christmas to all the staff,hope all goes well with the move. Merry Christmas to one & all. Good luck with the move. Thank you for a brilliant service. Happy Christmas to you all. Hope all goes well with the move. I'm sure the combination of Viovet and DPD will ensure that your usual excellent service will continue without a hitch. Happy Christmas to all at Viovet.